in Southern California, Seattle, Texas, and North Carolina. It’s that easy. Get to the Cloud fast. 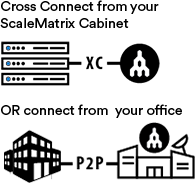 Increase security levels with dedicated, private access to cloud services without touching the public internet. 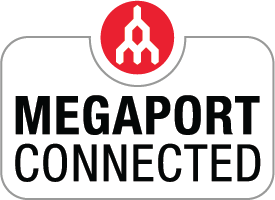 Achieve optimal speed with Megaport, the high speed Ethernet interface that connects to the Megaport fabric. Scale bandwidth instantly up or down based upon your needs. Maintain budget goals with month-to-month billing and simple port and VXC terms with no long term contracts. Connect to AWS, Google, Azure, Oracle, Office 365, Sales Force, other Megaport connected data centers, and more. Experience time and cost savings with dynamic provisioning in 59 seconds. IN DATA EGRESS AND PORT FEES ALONE? Are you a current ScaleMatrix client?